Like swiss chard, although zucchini are available year-round, but they are sweetest when just picked. They are even easier to prepare than swiss chard because there is no pre-boiling required. Simply scrub the zucchini well (I use a potato brush) to remove any soil on the outside, slice in half lengthwise, then crosswise into 1/2″ half-moon slices. 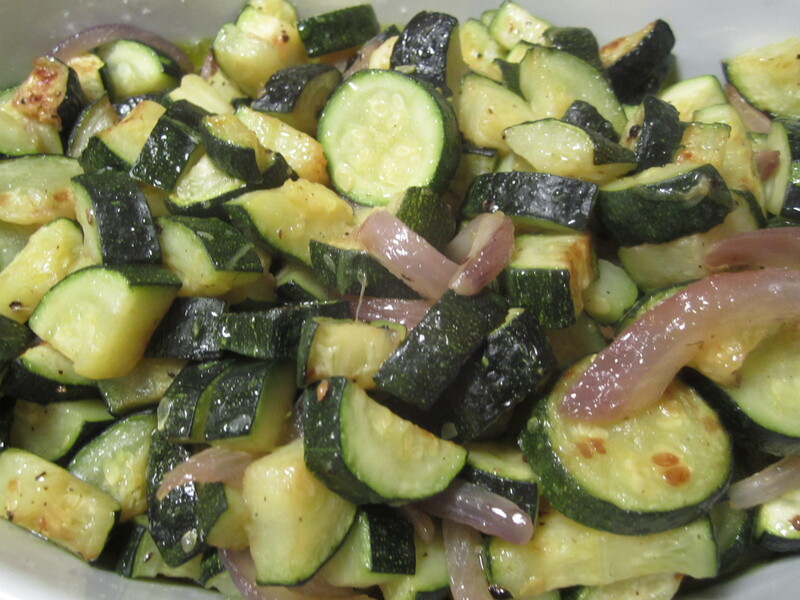 In a broad skillet, heat a couple of tablespoons of olive oil along with a coarsely sliced onion for about 1 minute (no need to brown the onion since you’ll be browning the zucchini along with it). 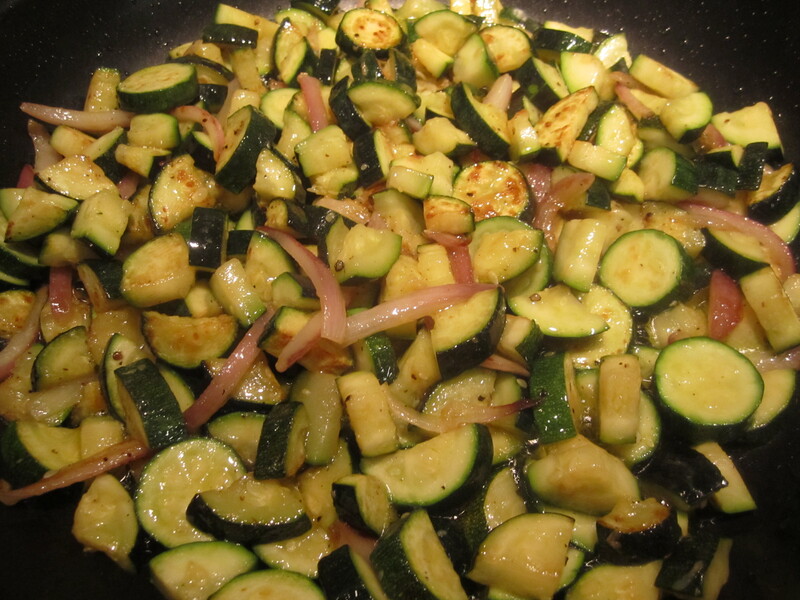 Add in the zucchini and saute over high heat until just tender and lightly caramelized, about 7 minutes. Taste and add plenty of salt and black pepper. This entry was posted in Uncategorized, Vegetables. Bookmark the permalink.